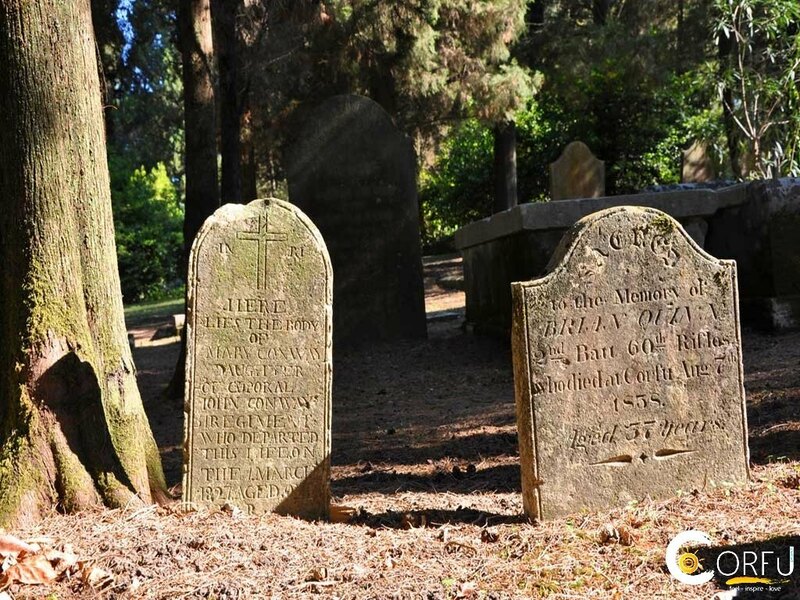 The British Cemetery in Corfu is located on the hill of San Salvatore, just a few minutes walk from San Rocco square. Founded in 1814, when Corfu became a British Protectorate (1814-1864), it was used as a place where the British officials, soldiers and residents were interred. After the departure of the British from the island, the cemetery served as the graveyard for the foreign families who stayed on. The earliest legible grave dates back to 1817. There are nearly 500 graves in the cemetery. It is still being used as a cemetery for the Anglican residents of Corfu. Among the most notable graves are John Connors' grave, died in 1857, a private in the 3rd Regiment of Foot, who was awarded the Victoria Cross during the Crimean War, and the monument to the seamen of the Royal Navy destroyers HMS Saumarez and HMS Volage, which ships were mined by the Albanians in 1946 (The Corfu Channel Incident). The whole place looks more like a garden than a cemetery. It is gracely blossomed all year long with a great variety of flowers, bushes and trees. There is also a small basin with goldfishes and water lillies. The cemetery is crossed by a slight ascending road, on which someone can spot many types of flora, like the anemones, marguerites and the famous orchids.